“Save the internet” protests were held across the EU last weekend in anticipation of the European Parliament’s Tuesday vote on a controversial copyright directive. The legislation — which has been criticised by both consumer rights advocates and big tech companies — would require platforms to sign licencing agreements with content creators to share their work. Some critics say the legislation’s copyright filters are too extreme and threaten legal freedom of expression. 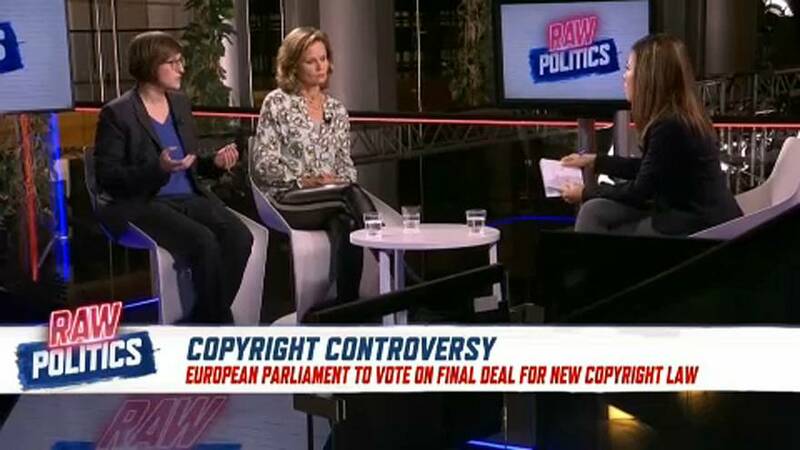 On Raw Politics, German MEP Julia Reda said the legislation would require the use of “upload filters which very often will block completely legitimate legal content”. German MEP Helga Trüpel — a supporter of the directive — disagreed, arguing it was necessary to protect content creators. Although Reda agreed that rights holders need added protections, she said the proposal as it stands focuses too much on blocking content and not enough on fair payment.